Our Standard Kraft Organizer consist of a highlighter, U - Pins, Stapler, Sticky Notes, Post it Markers, Sharpener and a Printed Calendar Leaflet. 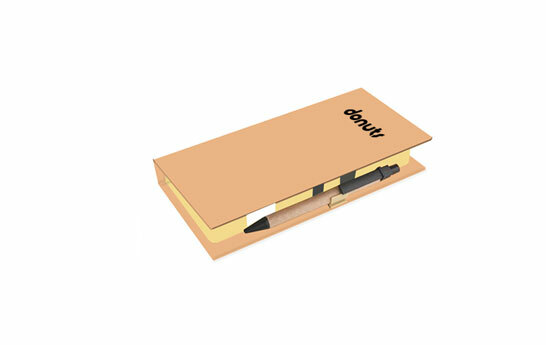 The Front Cover of the Kraft Organizer and Pen Inside are completely customizable. Its a popular gifting options and comes in handy if your work involves loads of travel.